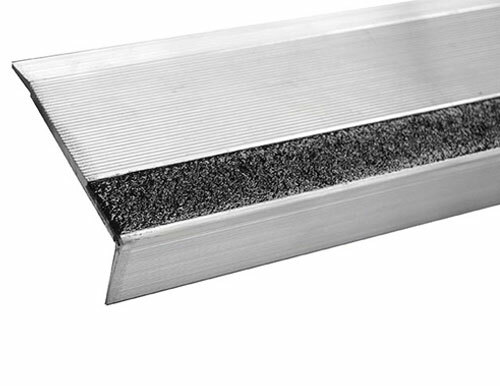 Our BOLD STEP® line of anti-slip aluminum stair treads offer the best protection to guarantee safety. All treads come with pre-drilled counter sunk holes and are ready to install upon delivery. If you are looking for a durable, safe, aluminum stair tread, or if you need a custom and/or ready to install product, Sure-Foot has you covered. These treads are easily maintained and can be cleaned using a general purpose industrial floor cleaner. One available size is the 4” one-color single cavity that can be used for your outdoor or indoor stair needs. Custom colors are available upon request.